Richard Armes had two very specific objectives in mind when he decided to install secondary glazing at his cottage in rural Derbyshire. 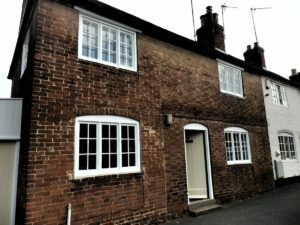 “I wanted to keep drafts out and bills down!” exclaimed Richard who opted to insulate four windows in his home using Ecoease’s magnetically attached secondary glazing. “I visited the Harpur Crewe estate near to me which has started installing Ecoease glazing panels and was taken with its simplicity, cost and effectiveness. It can be installed or removed very easily. Richard went on: “As well as being over the moon with the product I was immensely impressed with the customer service. The staff at Ecoease were very helpful and even advised me that I’d over ordered on the magnetic tape after getting my measurements awry. A lot of companies wouldn’t do that. “In addition I was sent additional tape free of charge after accidentally cutting it to the wrong length during installation. “I’m looking forward to feeling the benefits once the winter starts to bite and temperatures drop and, whilst not an intention, I’ve noticed a reduction in noise pollution. “All in all, a great product and the kind of service you simply don’t come across these days,” concluded Richard.